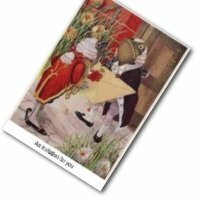 Celebrating your golden wedding anniversary? 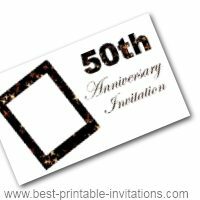 These free printable 50th anniversary invitations will help you celebrate in style. A 50th wedding anniversary is something very special. And most people like to celebrate with their friends and relations. When you are looking for a way to invite your guests, there is no need to compromise your budget. 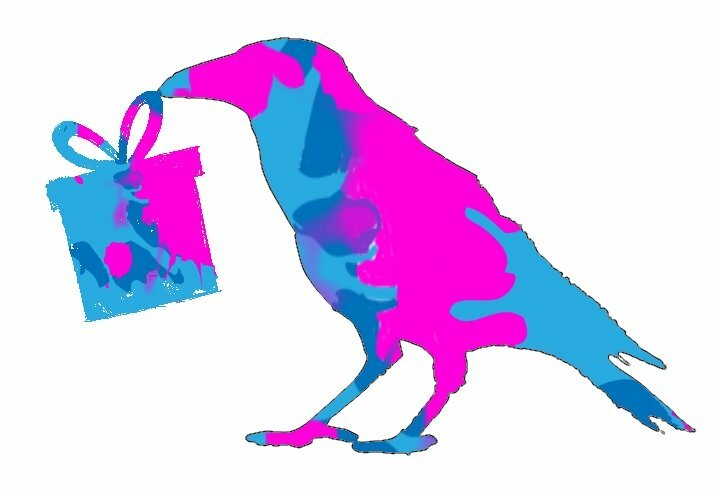 The beautiful invites on this site are totally free. The printable invitations on this page fold into a card. Two lovely designs to choose from. Is it an anniversary tea? Check out these tea party invitations too. Simply scroll down to choose your paper type (A4 or letter). Use the links to open the invitation in a new window, ready for printing. And here is a tip - why not use a gold pen to fill out your invites! Two beautiful wedding rings. This is a simple design, but very striking. It prints out beautifully. 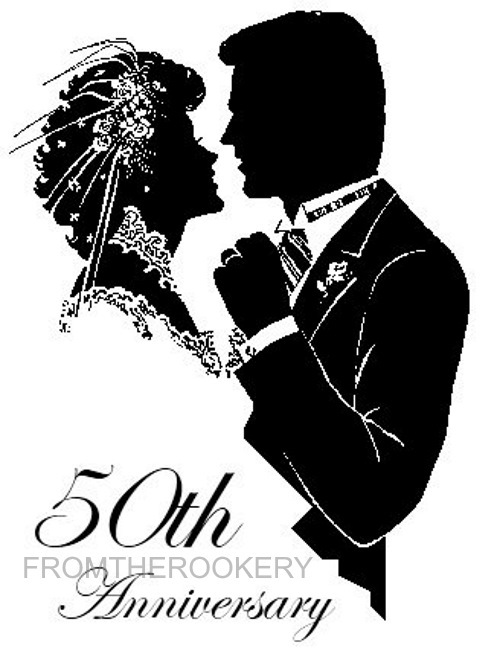 Printable 50th Wedding Anniversary Invitations. Like this invitation? Why not have it printed and delivered? Have this invite printed onto 5" x 7" card. Use your own text to completely customize. In a elegant gold coloring, this design would be a stunning way to invite your guests. Isn't this lovely. The black and white silhouette is very striking - but also great for printing (no color!). 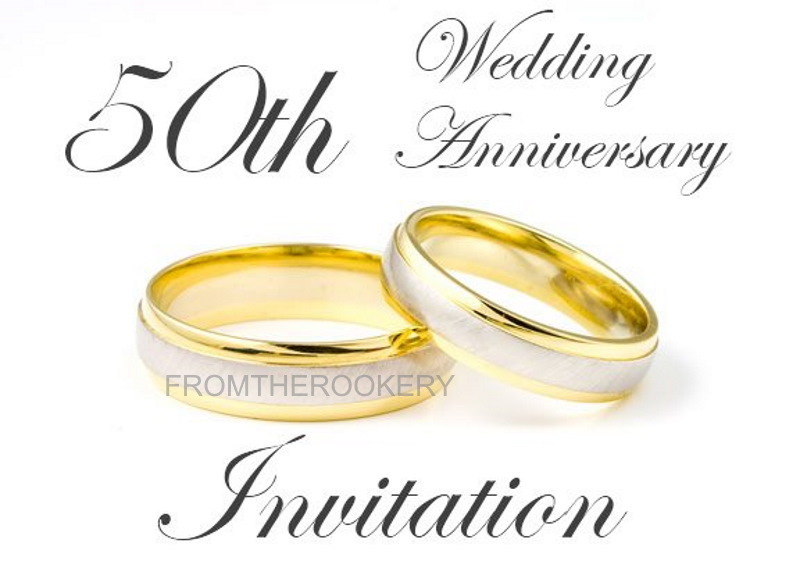 Printable 50th Wedding Anniversary Invitation. Fiftieth wedding anniversaries are a wonderful thing - and worthy of a great celebration. And I am sure your friends and family would love to spend this happy day with you. You need to firstly decide what type of party or event would best let you celebrate in style. 50th wedding anniversary don't have to be formal occasions - you could host a picnic by the river or a BBQ in your yard if you prefer. Why not make it an occasion that will bring you really happy memories. If it has been some time since you planned a party, then don't worry. Just take it a step at a time and you will be fine! Try to keep things as simple as possible - and plan it all out on paper first. A good place to start of course, is with your guest list. An idea of how many guests you are likely to have will help you decide on the best possible location and theme for your event. But let your guest list sit a few days before you make any firm bookings - you are bound to have forgotten a friend or two! 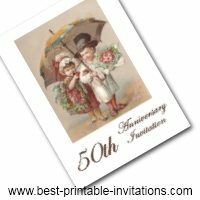 Make sure you plan well in advance - you need to try to get your 50th anniversary invitations sent about 3 weeks before the event. Work through your plan slowly and steadily and keep back ups of all your notes. And don't forget to call in a helping hand from friends and relatives if you need it. They will be happy to help out - and you will enjoy your day much more if you aren't stressed out by all the organizing. I send you many congratulations on your long (and I hope happy!) marriage - and I wish you a wonderful celebration. Do you need a 50th Anniversary Gift Idea? 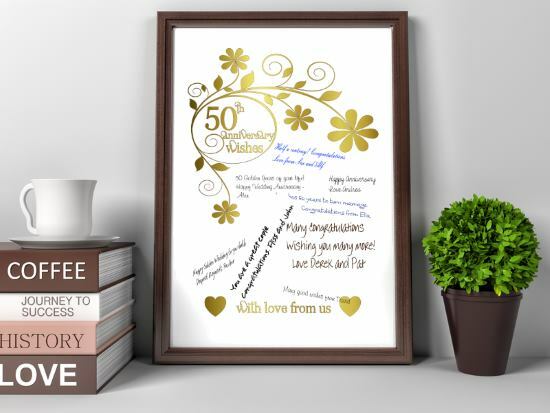 This beautiful keepsake printable has space for your own heartfelt wishes. Not quite what you were looking for? 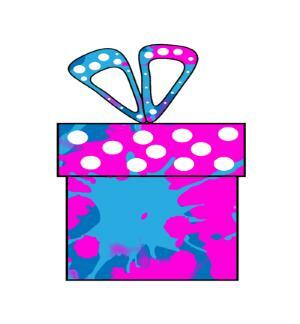 I have a lot of invitations on the site, and I am sure you will find something you love. Take a look at my recommendations to see if any of these would suit you better. Tell me about your anniversary celebration. What will you be doing? Leave me a comment below - I would love to hear about it.